I want to watch the videos for this course? Is it possible to get them now? Here it shows like its not currently available. good hands-on lab to get you started quickly. But the lecture is not so related to the lab. Better take it with a book on Spark. Great course organization, especially the balance between theory and practice. Some tasks were too easy and some were not clear at first, but piazza search usually helped. I consider this is a very good pyspark tutorial with explanation of spark key features. A lot of overlapping with the 2 other courses of the xSerie. I would definitely not advise taking this course if you took them. The last of the 4 weeks consists of only 20 minutes of video explaining very basic statistic concepts. 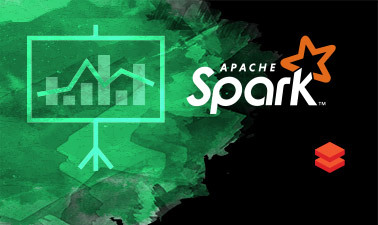 This should have been released before CS120x: Distributed Machine Learning with Apache Spark. If you expect to learn Spark from lecture videos in this course, you will be probably disappointed. This also holds for other courses in this specialization. If I have to make a speculations, these courses seem to be have created by the marketing department of Databricks to increase the adoption of Spark by putting a whole bunch of different and often irrelevant lectures. One can say the best part of these courses are the lab but even the labs are sometimes out-dated and they don't reflect the most recent status of Spark. For instance, while Spark official pages strongly suggest that data-frame based API's should be used for machine learning applications from now on, many parts of the lab are based on RDD API's.